This is an example of hand engraving done by Seth Gould on a token I made. If you order a Love Token, I can arrange engraving with him if you like. 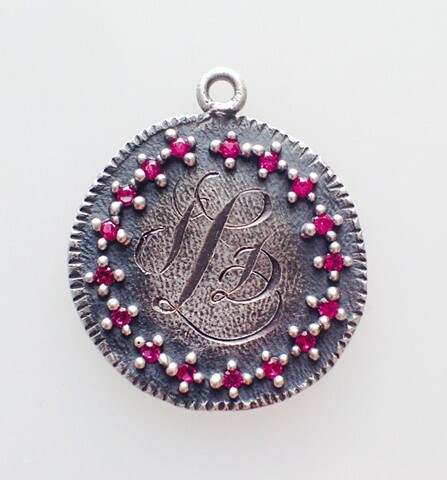 The cost is between $30 and $60 for groups of initials. For an image, we can work with Seth to determine cost. He's amazing.